Precision MicroFab™ has over 15 years of experience fabricating medical devices for clients including individual doctors, universities, small medical companies, and industry leaders. Our engineers and scientists have worked closely with those customers to create prototypes, refine specifications, and choose the best material for their applications. We have successfully assisted inventors just starting out as well as those with nearly complete designs for a working prototypes. With our unique set of skills we can help turn your great idea into a patentable reality. Our services can provide you with SolidWorks models as well as provide you with rapid response prototyping services from a single prototype to high volume production. Over the years we have compiled a vast knowledge of the many materials that are used in the medical device industry — from medical grade polymers to surgical grade ceramics and metals to rare elements that are found and used in various niche applications. We have spent thousands of hours fabricating devices and components with all of the high quality materials used in the cutting edge medical devices of today. If you are trying to decide which material is right for your design, then we can clearly guide you to the best and most cost effective solution for end use and manufacturability. We adhere to strict, internationally accepted quality assurance policies and procedures during our manufacturing process. 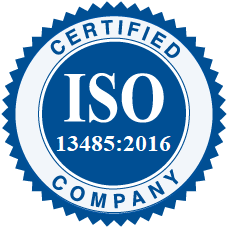 We have a robust quality management system in place and are certified for ISO 13485: 2016 (Manufacturing of medical devices) and ISO 9001:2015 (General Manufacturing). We work within standard and customer specific requirements during the design and development phase that ensure that the product conforms to your specifications. As part of our manufacturing procedures, we monitor and control all product changes and non-conforming material. We audit, record, and determine the disposition of all non-conforming products, including all purchased, manufactured, inventoried, and delivered products. We constantly monitor for corrective and preventive actions, such that internal operating procedures and manufactured products are continually improved. We work with you to establish the inspection parameters. Finally, we implement inspection and acceptance test procedures to guarantee the quality of the delivered products. Please feel free to download our Non-Disclosure Agreement NDA template. 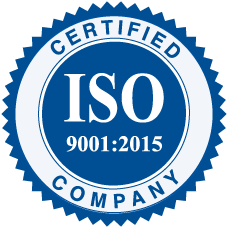 To learn more about our ISO 9001:2015 and ISO 13485:2016 process click here.